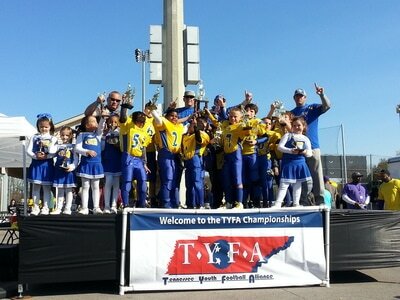 Welcome to the official website of Goodlettsville Youth Football & Cheerleading. We are located in Moss Wright Park the heart of the Goodlettsville community. We are excited to welcome new families into our program. We are a non-profit organization whose mission is to provide the youth of our area with a positive and safe football and/or cheerleading experience that develops their individual skills, physical fitness, competitive spirit, sportsmanship and ability to contribute as part of a team. Our experienced coaching staff strives in the development of strong character, a right attitude, a sense of responsibility, and citizenship in youngsters. The GYF program is constructed of elected board members of volunteers. 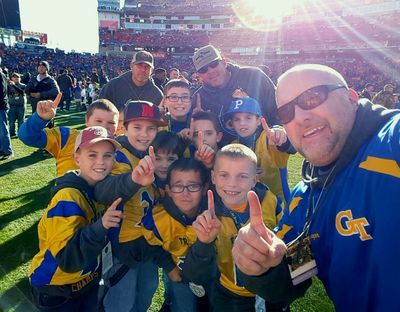 The board is governed by established GYF by-laws as guidelines to ensure the highest quality Youth football & cheerleading program. The GYF program is a proud member & competes in the Tennessee Youth Football Alliance (TYFA). The GYF program is one the founding members of TYFA in 1996. 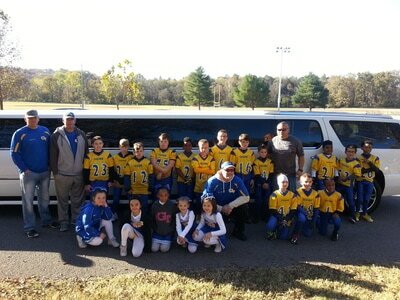 PLAYERS DO NOT HAVE TO LIVE IN GOODLETTSVILLE TO PLAY FOR OUR PROGRAM! Thanks for joining the best program in the area!